Catatan Ga Penting Yang Penting: Vegetarian... Why Not? I just wanna share my impression about being a vegetarian. I don't understand why some people keep saying something non-sense consequence about being a vegetarian. My friend said, she can't being a vegetarian caused her family are afraid about her growth. Hmm, I don't think so. Come on.... Let's clear this opinion. Vegetarian, is kind of diet method No, I won't say that it's a diet method, I prefer say being a vegetarian is a life style. 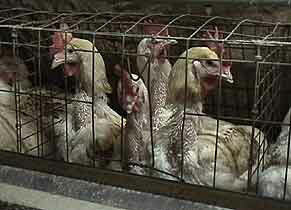 A life style that you don't eat any food which contain meat, seafood or anythig that related to animal products. To be honest , there are many kinds of vegetarianism, such as Ovo vegetarianism (eat such as egg product but not dairy product, Lacto vegetarianism (eat such as dairy product but not egg product), Vegan (doesn't eat any egg, dairy, honey and anything which comes from animal), Buddhist Vegetarianism (For this one, I'll tell from Maitreya Buddhism's point of view. In here, there's 3 steps of vegetarian. First is learning, in the learning part. You still allowed to eat allium family (garlic, onion, shallots, chives, scallions, etc), egg products (biscuits, cakes) and dairy products (milk). The second part, you'll learn to avoid any of allium family products, less eggs and less dairy product. The last part is try to become a vegan). Till one day, my mom gave me green eggplant to be eat. I tried it, then I realised that's delicious.. :). Since then I tried to eat more vegetables, I tried to eat no meat twice a week for the first 6 months, 3 times a week for next 6 months, and keep on till finally I don't eat any meat or animal (fish, seafood, etc) anymore or I can say that finally, I can be a vegetarian. Yeah , may be I'm still in the first part on learning part, I still eat onion, eggs, and milk product. If you ask the reason why I can being a vegetarian... Let me tell you then.. Simply, the main reason is a love. Everybody, No every creature has a main right is called Life, which it's a gift from God. You have family right? Animal also has family. How do you feel if you lost one of your family members? Sad, pain right? Animal also has the same feel as us. It can feels sad, pain, angry, afraid. However, what can they do? When they see us (human) took one of their family, they're become angry, they will do strange movements also some of them scream on their own languages also cry, but we don't know it. We think they're angry to us (Yeah, that's true if they're angry to us) and that's make we're quickly to took their life asap before something unwillingness happened. Don't you feel guilty by doing that? they were killed then you eat them. You might feel guilty when you stole something, sad when you lost something precious, right? However, what have you done now? 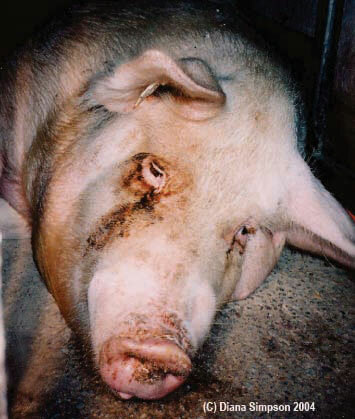 After you killed them, you ate them, means you've stolen their precious life for satisfying your tongue only. How do you feel, don't you feel poor to the animal? Have you seen killing process in slaughther house (butcher)? They're afraid, they cry... But nobody care.. They have a big pain in their heart, but nobody know. We only know to get money from selling them. We only know how delicious them of being a food. We only think that they're life for us. I wanna make clear some people's opinion about weird consequence for being a vegetarian. - A vegetarian person can't have male child? - A vegetarian person can't grows properly. Kinda short. No, I'm vegetarian, and I grow properly. My height is 162 cm. That's average for asian female person. So, dunno from where this kind of opinion comes. Height is influenced by biologic (generation) factor. - Is that safe (healthy) enough for being a vegetarian? Of course, I almost never come to a hospital for a serious disease. People who did vegetarian's life style properly has fewer risk for getting any disease than them who doesn't. - Vegetables also creature, why we can eat that but not with animal? hmm, kinda stupid question. Okay, you can plant vegetables right? That's mean you make a life for plants, you create it, not give the life. Plants can't move likes animals do, also actually, plant is made as food sources (Herbivore). However, Can you make a life for animal? Animals got their life from God like us. They can feel pain, sad, happy, afraid. The same feeling as us can feel too. - How about carnivore animal, they're allowed to eat meat, why we can't? Why being Vegetarian has relation with Global Warming?